Summer days can be so fun, but they can also be long, hot and overstimulating for toddlers. When your toddler is melting down faster than their popsicle, it can be challenging. It can be hard to stay positive, or choose compassion when the words on the tip of your tongue are neither. The next time life hands you that kind of meltdown moment, you may want to try using the hack Drew Barrymore loves: Just blow some bubbles. 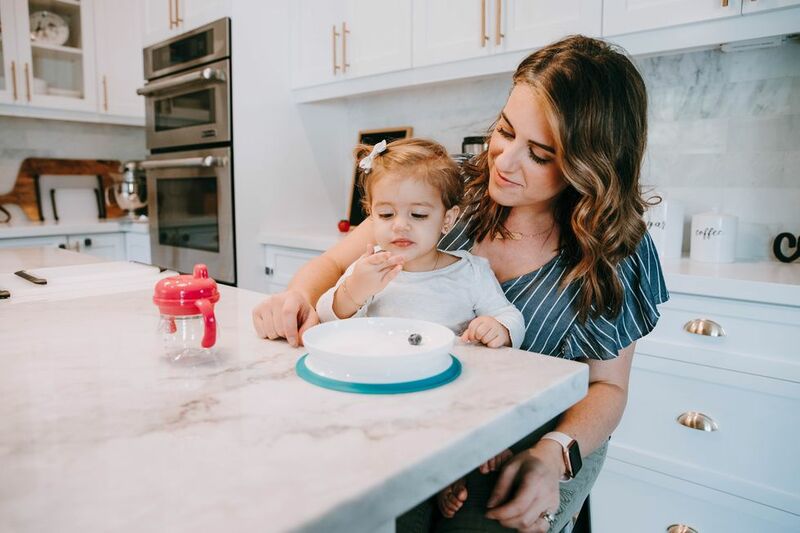 The mom of two recently regramed a post about the tantrum calming potential of bubbles by The Seedlings Group, a parenting support service Barrymore has worked with since her children were born. "You cannot tantrum if you are breathing and you cannot blow bubbles without breathing. You can't tantrum while smiling and you can't catch bubbles without lots of smiles. Quick distraction to get back to calm," the experts at The Seedlings Group captioned a photo of a child blowing bubbles. Keeping bubbles handy in case of toddler drama may be new to Drew, but the idea of temporarily redirecting a tantruming toddler's energy with a positive distraction isn't a new concept for experts. 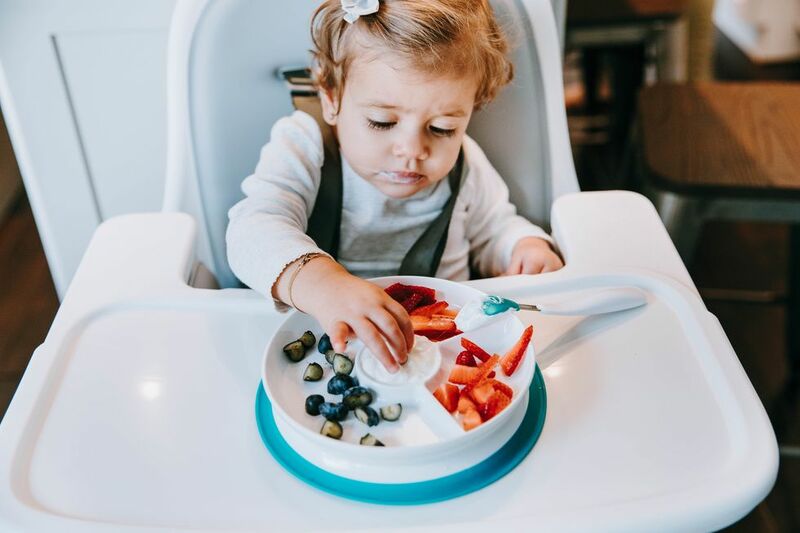 Holly Klaassen, founder of The Fussy Baby Site, previously told Motherly that some tantrums can be tamed by redirecting a child's energy in a positive way. A parent can match a child's intensity by pointing of a cool object, and change the mood from "intense meltdown" to "intensely interested." "After the flood of emotions has passed, there's time to talk about feelings or to deal with whatever caused the meltdown," says Klaassen, who recommends parents address the reason for the tantrum once everyone is feeling a bit calmer. When a toddler is having a tantrum they're often not the only one who could use the kind of deep breaths you take when you're blowing bubbles. As founder of the nonprofit Fireborn Institute, Katherine Firestone is dedicated to providing parents with practical strategies for educational success. She suggests parents don't tell an angry toddler to "calm down" because they don't yet know how to regulate their emotions. Parents, however, do—although we may not know that we need to. "In the moment the tantrum is happening, most parents don't realize how much the tantrum is affecting them–their tone of voice, their feelings, their body language," Firestone previously told Motherly. In moments like that, blowing bubbles may be just what mama needs to regain her chill. Barrymore credits The Seedlings Group with providing the kind of advice "she really needed as a new parent and I still marvel at them." By amplifying this excellent hack, she proves that you don't have to be an expert to pass on the parenting tips that work for you, and that social media is a great way for parents to do that. Thanks to her, we now know the bottle of soap next to the sink could be the secret to turning a meltdown into a bonding moment.